These hand-painted clay pots now have plants to keep them company. 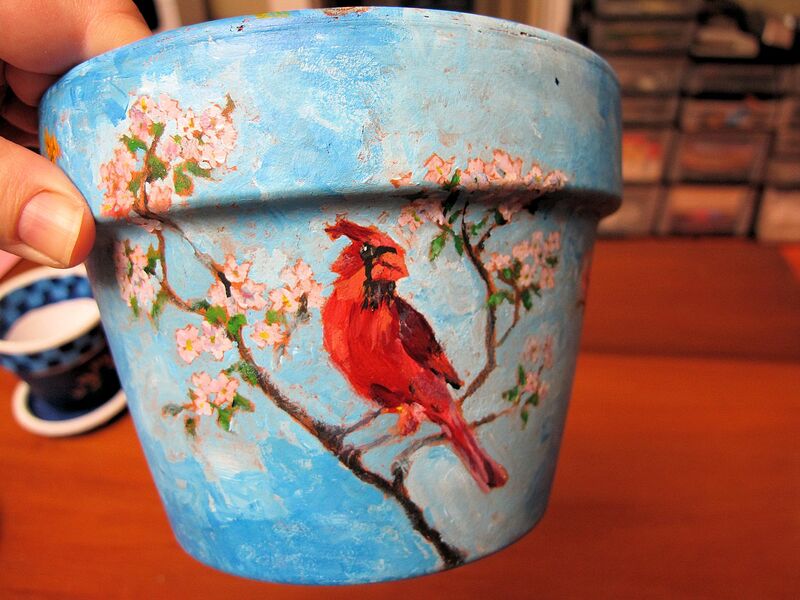 For my birthday, my ten-year-old daughter, my thirteen-year-old son and my twenty-something daughter Cadie each painted a clay flowerpot for me. I planted them with purchases from Stony Hill Farm. There are sempervivums at either end and silver squill (Ledebouria socialis) in the middle. 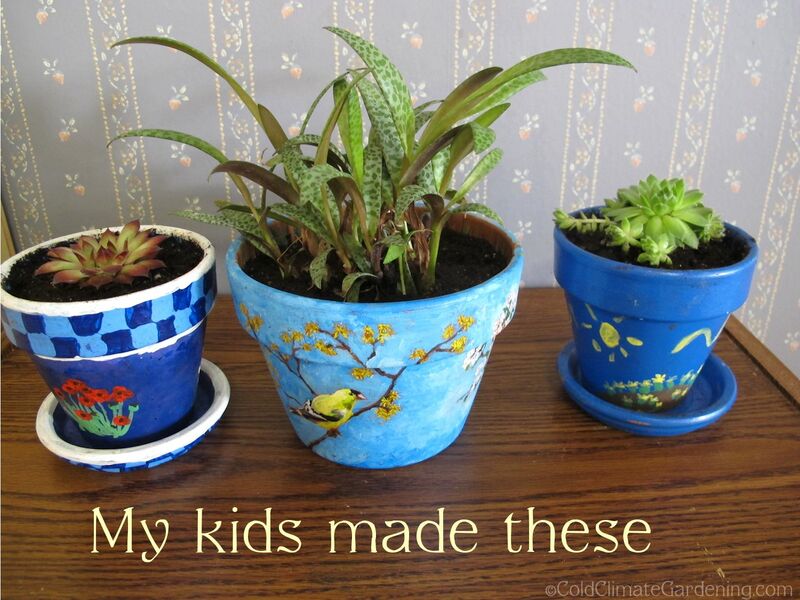 I am growing them all as houseplants in the kitchen where I will look at them often. 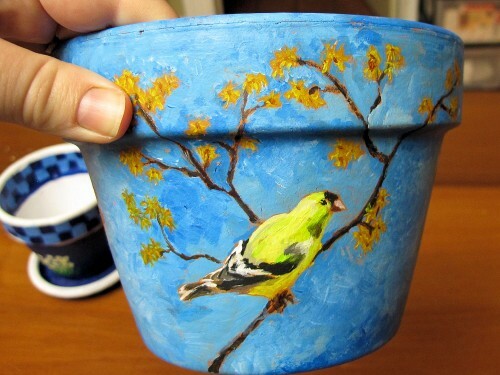 Cadie painted a lot of detail on her pot. Here’s a bluebird on flowering quince. This cardinal is perched among apple blossoms. The goldfinch is perching on a witch hazel branch. 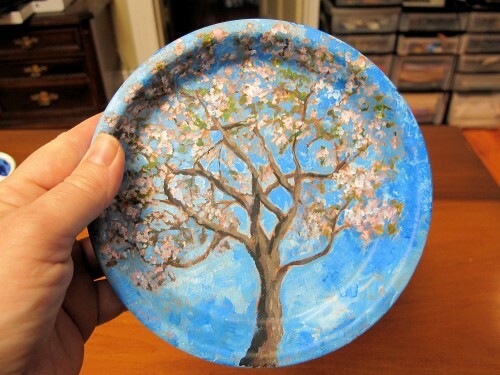 She even painted the saucer with a blossoming apple tree. I thought you’d enjoy them. I know I do. Those are all lovely! I love homemade presents, aren’t they the best? They’re all so charming! Cadie could sell hers. Lovely. i love presents made by the giver…and these are so beautiful. What talented children you have. Lovely. Awesome. You some incredible artists in your house! My girls would enjoy a project like that. 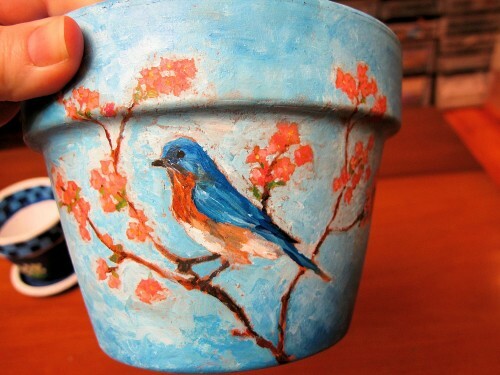 What kind of paint works best for clay pots?